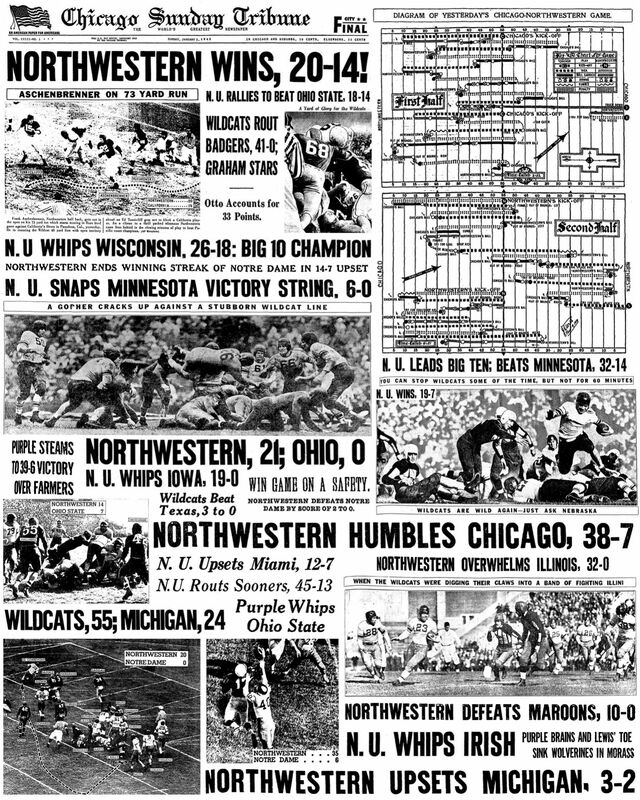 It's time for Northwestern to return to a simple, classic, and historic design. 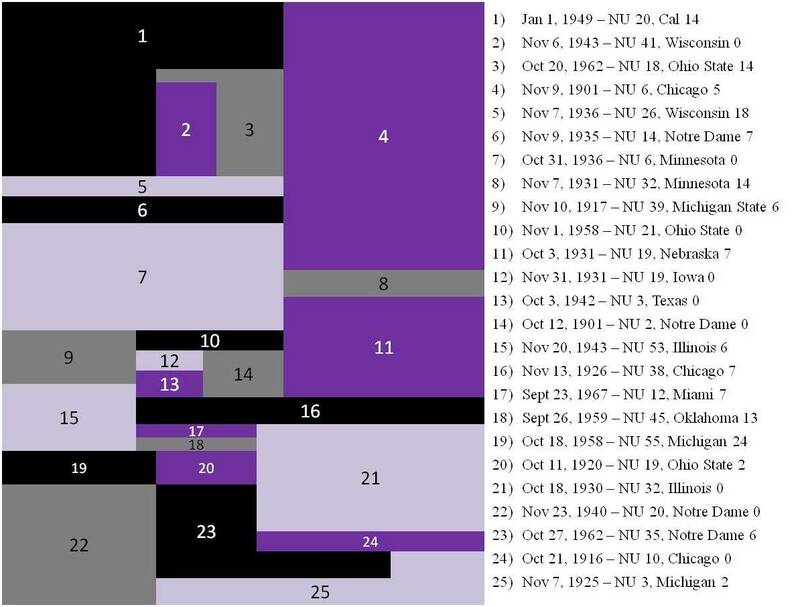 While the jerseys remain purple, the program should bring back "Northwestern Striping" in a slightly modernized form. 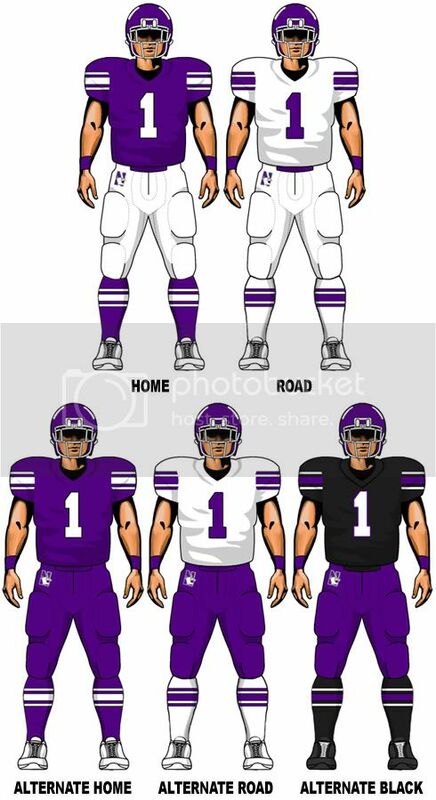 These uniforms will not only be sharp, but will be unique to Northwestern while honoring its history. It's a design that could last for decades. I wish they would change to something like what you propose. 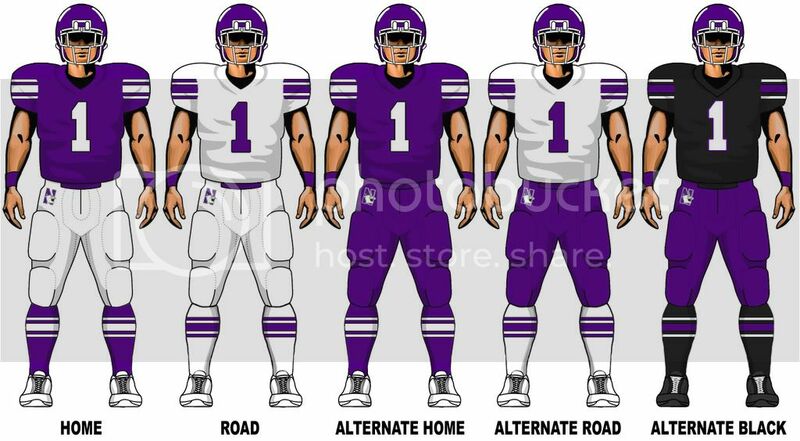 Plus, I'd love us to have more than two uniforms types so I like the alternate black choice. I agree...these uiforms would look sick with the striping, and the alternates would be a nice change of pace especially the black one.